Rich Chicks Spicy Whole Grain Breaded CN Labeled products will win over even your pickiest critics. Spicy Whole Grain Natural Shape Chicken Patties are great for a quick lunch or dinner solution that will always be a hit, they’re easy, fun, and delicious. Made from high quality ingredients you recognize and trust (and can pronounce). Heat, serve and smile. Rich Chicks, unrivaled quality, Rich in Flavor, Rich in Nutrition. Dinner just got easier with Rich Chicks Supreme Gourmet Spicy Whole Grain Breaded Chicken Patties. Build your sandwich just the way you like, but make sure there are plenty of chicken patties to go around because they will be coming back for more. Build, enjoy, repeat. Rich Chicks, it’s what’s for lunch or dinner or whenever! Chicken Breast with Rib Meat, Soy Protein Concentrate, Chicken Protein Solution (Water, Chicken Protein), Water, Seasoning (Salt, Hydrolyzed Corn Gluten, Onion Powder, Garlic Powder, Spices, Wheat Flour, not more than 2% Silicon Dioxide added to prevent caking), Isolated Oat Product, Salt. 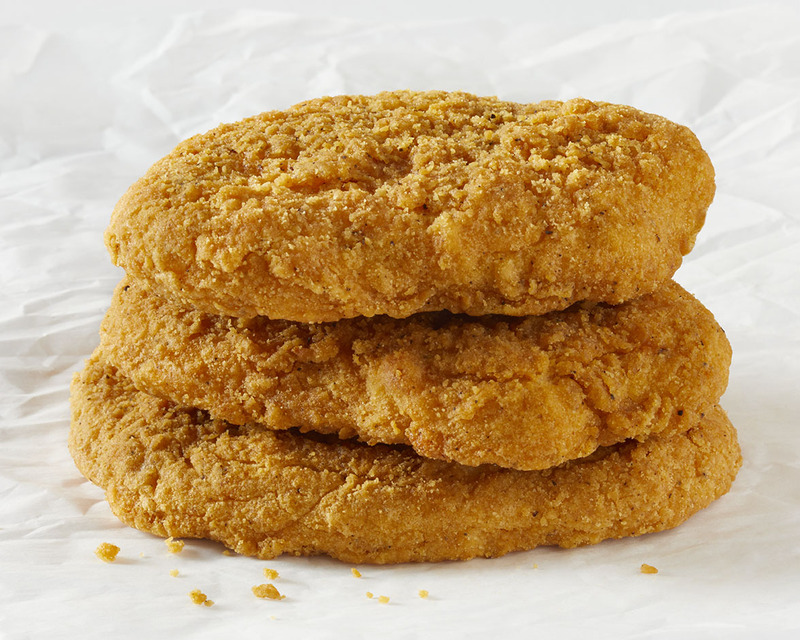 Breaded With: Whole Wheat Flour, Enriched Wheat Flour (Enriched with Niacin, Reduced Iron, Thiamine Mononitrate, Riboflavin, Folic Acid), Salt, Spice, Spice Extractive, Yeast, Sugar, Extractives of Paprika. Pre-dusted and Battered With: Water, Whole Wheat Flour, Enriched Wheat Flour (Enriched with Niacin, Reduced Iron, Thiamine Mononitrate, Riboflavin, Folic Acid), Modified Corn Starch, Salt, Egg Whites, Leavening (Sodium Acid Pyrophosphate, Sodium Bicarbonate), Soybean Oil (As Processing Aid), Spice Extractive, Extractives of Paprika. Breading Set in Soybean Oil.